According to an apocryphal story about Chandragupta Maurya, the conqueror’s first attempt to seize the kingdom of Magadha failed. Wandering in disguise one night, he came across a mother scolding her son for chewing his bread from the middle. “Eat the outer sides first and then move to the centre of the roti. Not like Chandragupta Maurya who straightaway attacks the centre”, she admonished. The challenger learnt a valuable lesson, and the rest is history. In 2009, it was expected that the BJP and RSS would select the Gujarat Chief Minister as Prime Ministerial candidate; but LK Advani unilaterally announced his candidature and lost the election ingloriously. In Gujarat, the aspirant learnt a precious lesson: he would mark the ground skillfully, advance along the peripheries, and go for the kill. 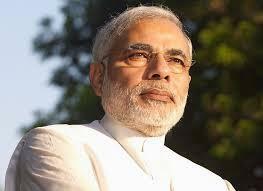 Moving with the dexterity of a modern Chanakya, Narendra Modi easily out-classed his opponents. An invitation to the capital’s Shri Ram College of Commerce had the audience (and the nation via live relay) eating out of his hands, while the Lutyens brigade fumed at the barricades. It was a preview of things to come ” the privileged courtiers of a rotten regime would prove too effete to stave off the challenge from an energetic outsider and would soon fall outside the charmed circle. By Independence Day 2013, confident of the rising groundswell in his favour, the challenger unveiled his personal manifesto before the nation; attentive analysts should have perceived it as the launch of his digvijay yatra. That is how this writer viewed Narendra Modi’s powerful oratory from the dry borderland of Kutch, the quintessential periphery from where he aimed his darts at Delhi, shaming the mumbling inanities of the then Prime Minister, and assuring a desperate nation about who would stand at the ramparts in 2014. The Bharat (dig)Vijay rallies marked the peripheries of India, from Kerala to the northeast and eastern states, to Jammu & Kashmir; State after State was staked by the lion from Gir with the poise of a chakravarti samrat. The ruler, the civilisational history of India shows, may well have obscure origins (read, no privileged family), but he must have high ideals in order to unite the country and establish a moral order. By the time the man from Somnath and Dwarka reached the banks of the Ganga in Kashi, he had shattered the perverted definition of secularism that has long shackled the nation. The Nand dynasty reputedly fell because the king was stealing from the treasury; the Gandhis have been booted out for the same reason. It was at Kutch on August 15, 2013, that the Gujarat Chief Minister unveiled the twin slogans of “Ek Bharat Shrestha Bharat” and “Sab ka saath, sab ka vikas” that became the signature tune of the BJP blitzkrieg. It was here that he said that an inspired leadership can use the agricultural sector to make up the current account deficit and rectify the import-export imbalance; that nationalism is a religion in itself and that the united energy of 125 crore citizens can lift the country out of the prevailing morass. As Narendra Modi had publicly challenged the Prime Minister to a contest of oratory on August 15, his speech was widely covered by television channels and talked about mainly for its references to the President’s address the previous day, until a spiteful regime ordered ‘due respect’ to national leaders and ensured his steady eclipse from prime time news until he inundated Parliament with saffron. The Bhuj Independence Day speech, however, is important because it is here that Mr Modi first unveiled his vision for the nation, a fact completely missed by political observers. Subsequently, after being designated as the BJP’s official nominee on September 13, 2013, this vision was elaborated across the land. Lamenting that freedom did not bring fruition of the dreams of the people, he said India remains intellectually enslaved to a status quo mentality that does not allow it to rise. The President, he observed, was so concerned that he sent a grave signal to Pakistan that there was a “limit to tolerance” ” after the beheading of a jawan; the nation felt let down when the Prime Minister failed to pick up the refrain from the ramparts of the Red Fort. While supporting friendly ties with neighbours, Mr Modi said the Prime Minister should have understood the need to restore the morale of the Army. It is not a question of Pakistan alone. China too, he noted, walks into Indian territory and challenges our sovereignty, while sailors from Italy murder our fishermen. India has to draw some red lines, he warned. At Bhuj, Mr Modi said that the nation cannot progress unless all States develop equally. The Centre must respect the federal structure of the constitution, take States into confidence, and implement programmes for growth; Gujarat would do its share of work in this endeavour. He regretted that the Prime Minister had failed to appreciate how the nation came forward as one to help in the Uttarakhand disaster, and that Army personnel had sacrificed their lives to save the stranded citizens. He lambasted Manmohan Singh for paying obeisance to one family and omitting to remember Sardar Patel who united the country and Lal Bahadur Shastri who gave the call of “Jai Jawan Jai Kisan” and inspired farmers to fill the granaries of the nation. Critical to the remembrance of first Prime Minister Jawaharlal Nehru is the fact that the nation continues to face the very same problems it faced at Independence, which means that nothing has been achieved in six decades. The nation, Narendra Modi asserted, needs freedom from arrogant and unaccountable leaders; it needs an atmosphere of hope to rise above despair; it needs development and good governance (su-rajya). The fruits of development must reach all, from Adivasi to fishermen, all of whom have a right to education, employment, and health. The Gujarat model, he elaborated, places equal emphasis on agriculture, the service sector, and manufacturing, to arrive at inclusive growth. It accords priority to education; has increased the number of universities from 11 to 42 in a decade, and strictly monitors the quality of education from primary schools to higher institutions. Now, having set the national agenda by educating citizens about the meaning and content of good governance, Mr Modi prepares to climb the ramparts of the Red Fort in August. The nation shall listen with its heart. -Strangely, Dutugemunu who lost a guerrilla war and wondering got a similar advice after eating hot rice from an old woman. Modern day Dutugemunu ( I would say Gota) fought in a completely opposite way to win.